S&R has everything for everyone this summer! Staying home with the kids? Bring summer to your garden with these! 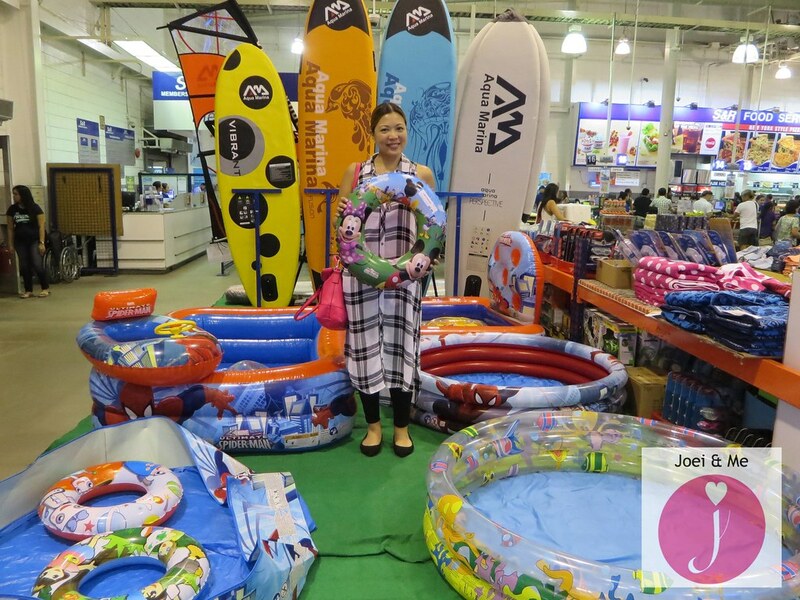 The Disney Swim Ring I'm holding is only PhP69.95 while the Inflatable Pools around me range from PhP549.95 to PhP849.95. The cute Marvel Beach Boat with the steering wheel on my right is PhP849.95. Going to the beach? 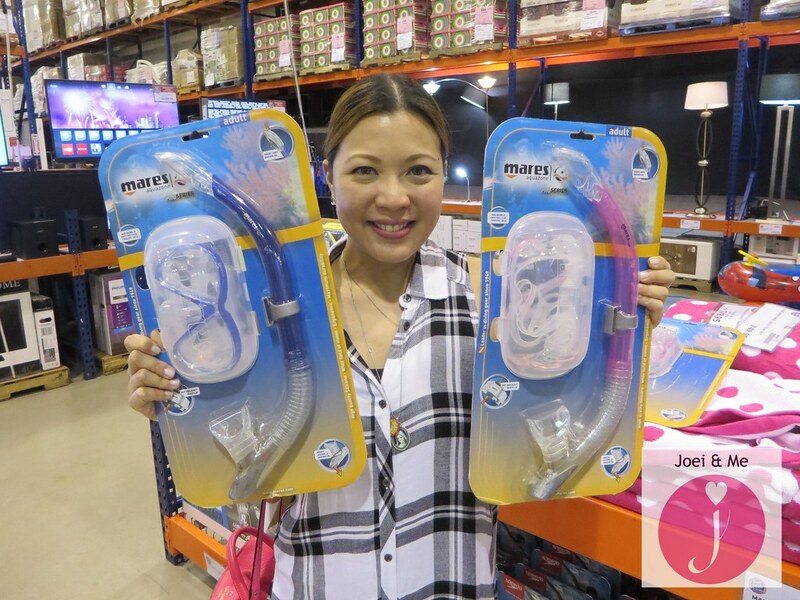 You might want to check out these Mares Snorkel Sets (PhP2,589.95). I like that it comes in blue and in pink for a total 'his and hers' vibe. I really want these two snorkel sets for me and T since we're going to the beach soon! These pairs of Urban Star Ladies Shorts are on sale for PhP419.95 (regular price is PhP499.95). 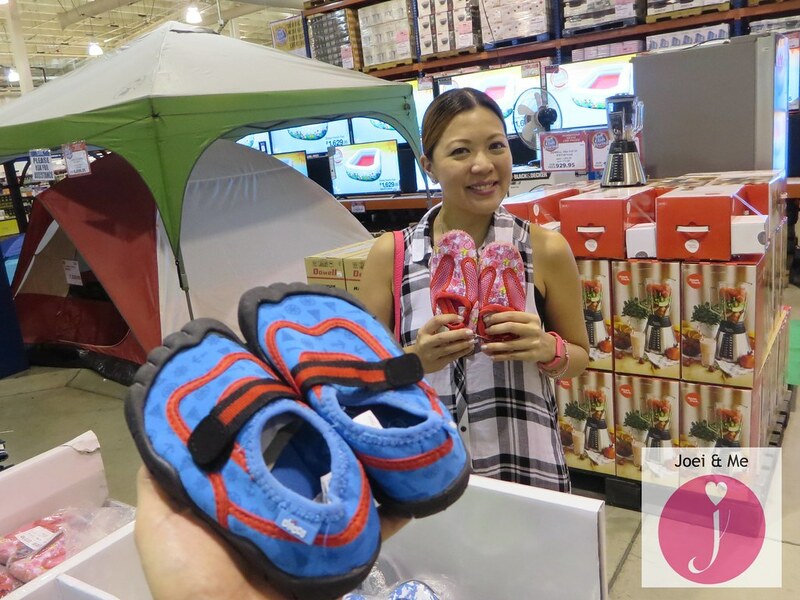 If you're bringing your kids along, don't forget to get them aqua shoes to protect their feet while on the beach. The blue Chicco Aqua Shoes and the pink Barbie Aqua Shoes are both on sale for PhP279.95 (regular price is PhP329.95). 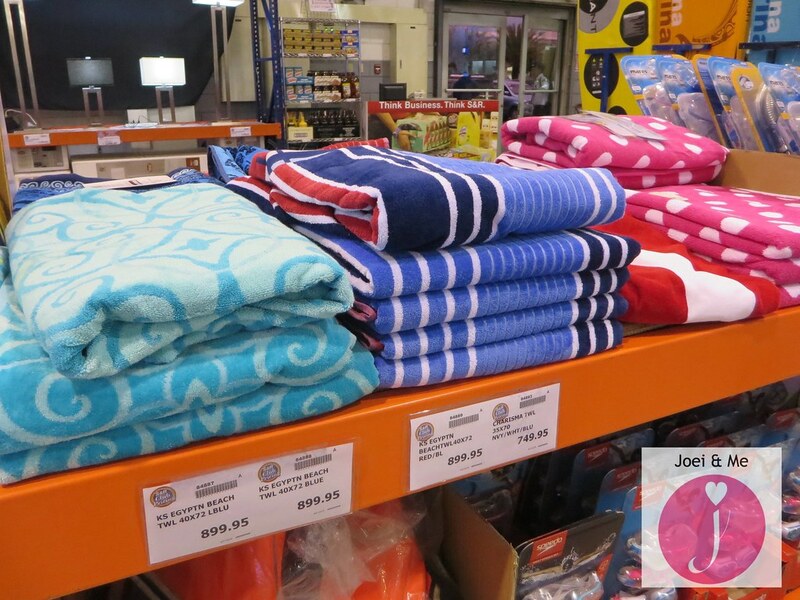 I also found these cute Charisma Resort Towels which are PhP749.95 each. 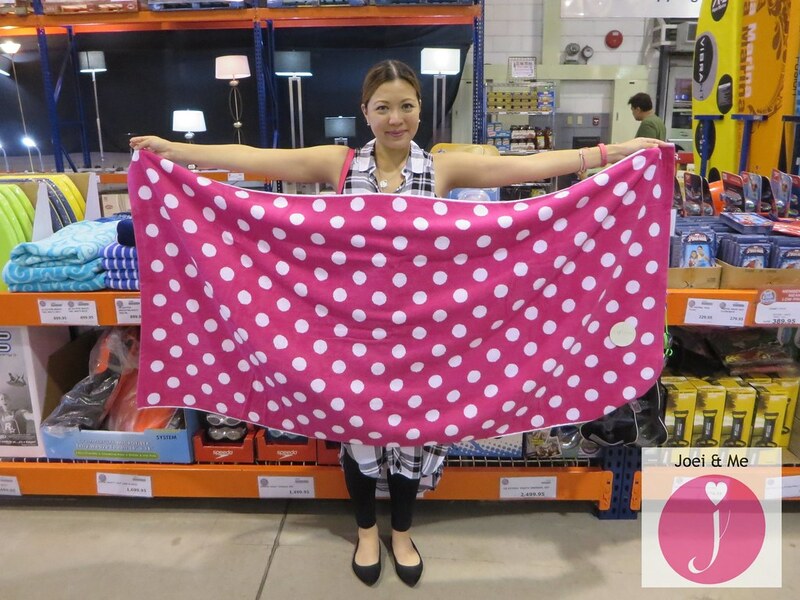 The colors and patterns make the towels a nice background for Instagram-worthy sunbathing photos! More of the adventurous type? 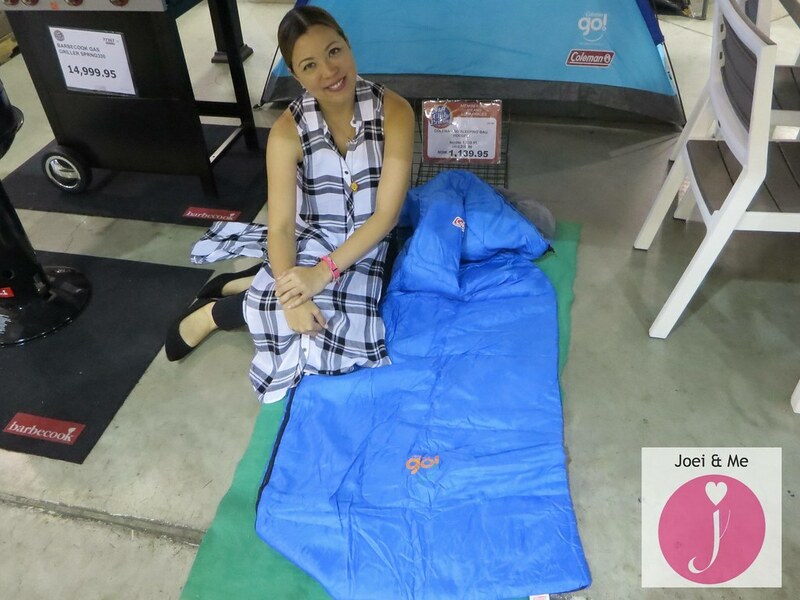 Check out the Coleman Dome Adventure Tent which is on sale for PhP1,519.95 (regular price is PhP1,719.95) and Coleman Outdoor Sleeping Bag which is also on sale for PhP1,139.95 (regular price is PhP1,399.95). 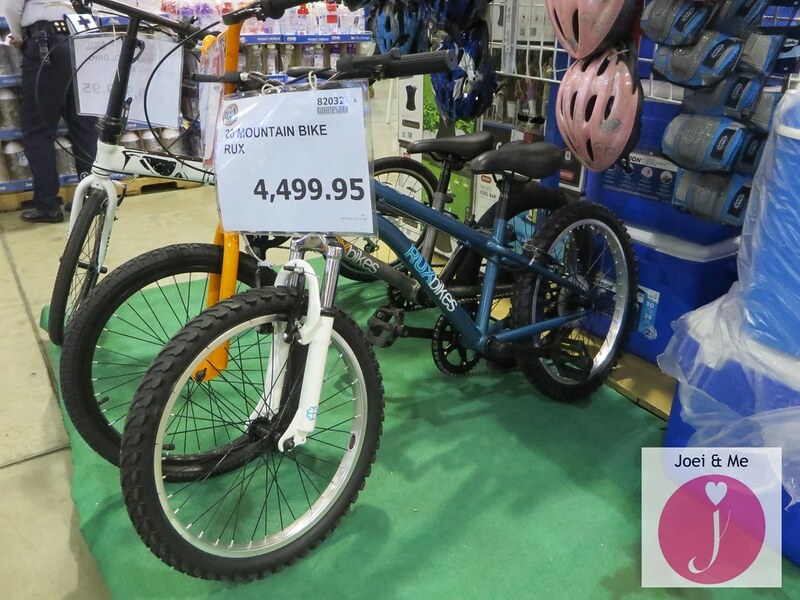 Get a Rux 20" Mountain Bike or BMX Bike Aluminum Alloy while you're at it. 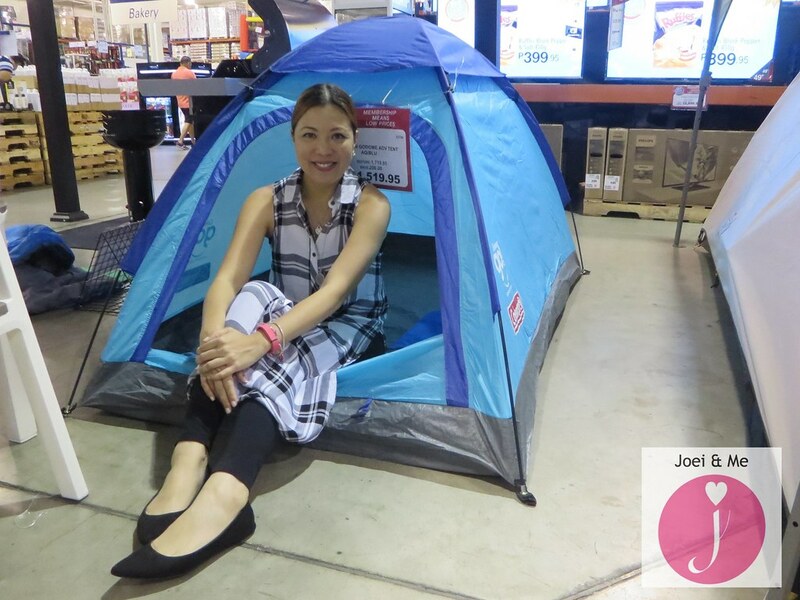 It's on sale at PhP4,499.95 (regular price is PhP5,499.95) and save PhP1,000! Feel like staying at home? Pick up a couple of tubs of Blue Bunny Ice Cream and fill your freezer while S&R has a promo. 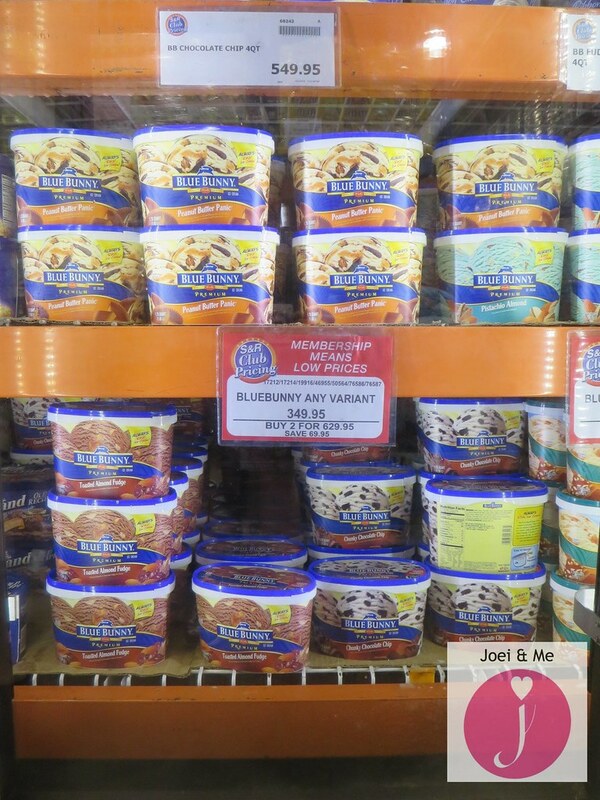 Buy any two Blue Bunny Ice Cream for only PhP629.95 and you save PhP69.95! So,, Will you have summer in your garden, go to the beach, have an adventure, or just stay at home? Share your finds by tagging @snr_official on Instagram and using the hashtag #loveSnR. Happy weekend!